The Sangean PR-D6 was quite a pleasant surprise. It’s been available since 2012 but I just discovered it and I must say that I am very impressed with how well it performs on AM. 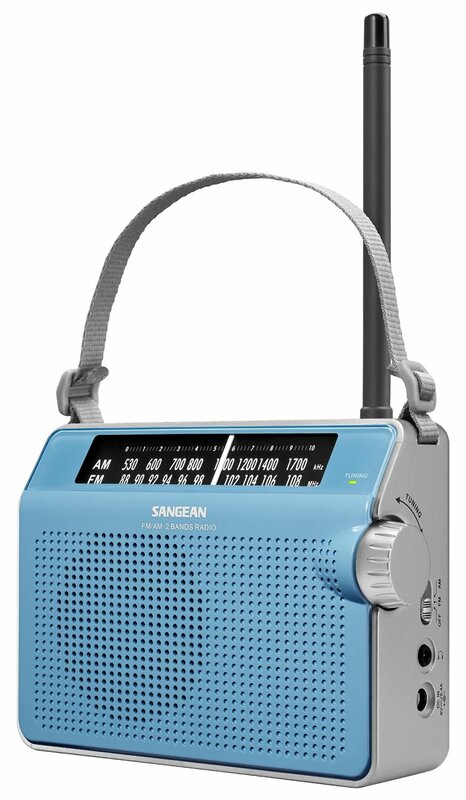 It is a simple, analog-tuned portable radio covering standard AM (520-1710 KHz) and FM (87.5-108 MHz) bands, available in Black, White or Blue. It is powered by 4 AA cells and is spec’d with an audio output power of 1W into its 3 inch speaker. Unusually in this day and age it features rotary Bass and Treble controls, a real “WOW” in a $30 radio. There are also an earphone and DC input jack, a “Tune” Led, and a carrying strap. The PR-D6 measures 6.77” x 4.98” x 2.17” and weighs about 1 lb. I really like its no-nonsense totally analog design – this is a simple radio for anyone to operate. I also like the clear, large slide rule dial and the rotary volume, tuning bass and treble controls…how nice on a radio in this price range. There is a slide switch for On/Off and band selection. AM is the strong point of the PR-D6. When I first tried it out I was surprised at how loud and clear my usual test stations were. 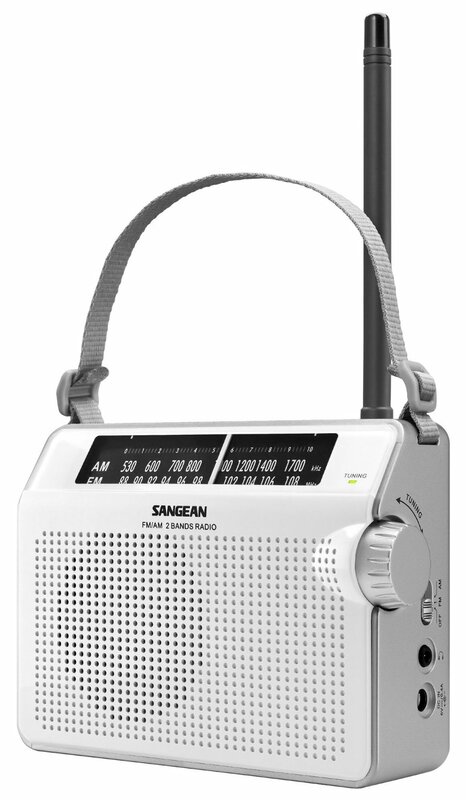 When I put it up against a few other well-known radios in this approximate price range I found the Sangean was beating them easily. I had to pull out several other reference radios to find exactly where the PR-D6 lands in the overall scheme of things and again I was surprised to find it earned a solid **1/2 Stars in my AM Mega Shootout list. In fact it was only a few points shy of making the *** group list…impressive AM performance indeed! In every comparison the PR-D6 sounded loud and was as noise-free as the other ** ½ star radios and was appropriately selective…enough to easily separate adjacent signals under all but the most difficult situations. I spent quite a bit of time with the PR-D6 side by side with the Zenith Royal 500H and Channel Master 6515 Super Fringe radios…both strong performers and vintage favorites of mine and I’ve got to say the PR-D6 seemed to hold its own against them. The sound was also very full and natural…this radio is a joy to listen to and nicer than other current-day radios in its price range. As a reality check I compared it with Sangean’s flagship multi-band portable…the beautiful ATS-909X and I’m almost embarrassed to say the PR-D6 BEAT the 909X for both AM reception and sound quality. Certainly the ATS-909X has other capabilities beyond the scope of the PR-D6 but for basic AM reception and sound it was no contest in favor of the PR-D6. FM was more typical of this class of radio – it was fine for usual reception of local and suburban grade signals. 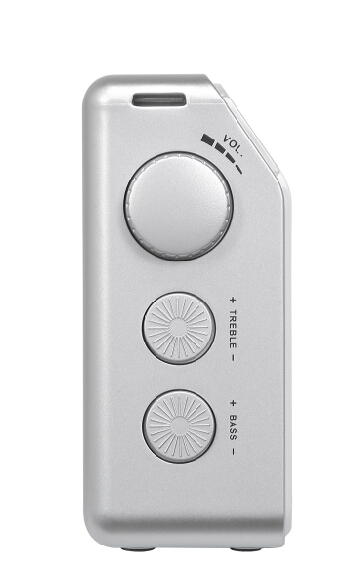 The PR-D6 has average FM sensitivity and selectivity…more expensive DSP-equipped FM radios are in a totally different class so this is not an FM DXer’s radio…but for casual listening it does just fine and with its smooth audio along with bass and treble controls you can tailor the sound to suit your taste. If I may be allowed one quibble I do wish it had been designed with an adjustable, collapsible FM rod antenna rather than the screw-in rubber ducky antenna but that is about the only complaint I have with the radio overall. The inability to swivel and aim the FM antenna did limit reception of a few signals which came in much better if I held the radio at an angle. This antenna can be unscrewed and removed if you wish and I suppose if you wanted to eek the last bit of FM reception out of this radio you could somehow find or fabricate an aimable rod antenna or wire which could replace it. *If your interest runs more to FM than AM but you’re still looking for a low cost radio check out the PR-D18 for under $50 street. Although it’s not quite the equal of the PR-D6 on AM it is an excellent FM portable for the price and has full digital features. 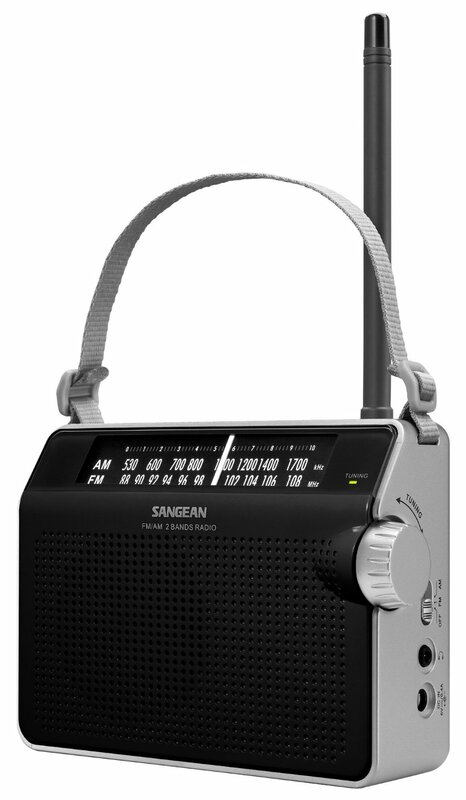 Conclusion: The Sangean PR-D6 is a little gem for AM radio lovers. At typical street prices around $30 I know of no other current production AM radio that can touch it for either reception or sound. In the daytime my weak out of town signals were rendered with less noise than any other $30 radio currently being made and at night the dial was full of distant signals which were easy to separate and which sounded great. This is a lot of AM radio for $30. And although its FM is more typical of low priced portables it is not bad at all and sounds better than most of the competition.